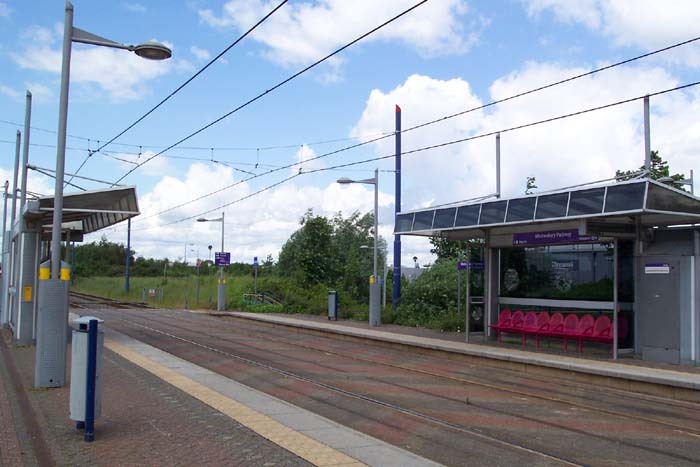 By Midland Metro standards, I have to say I find this one of the more interesting of the stops not to be constructed on the site of a previous heavy rail station, sitting as it does at the mouth of Wednesbury Metro Depot. Above we are looking at the entrance to the stop from the extensive car park off Leabrook Road with Birmingham to our right and Wolverhampton to our left. 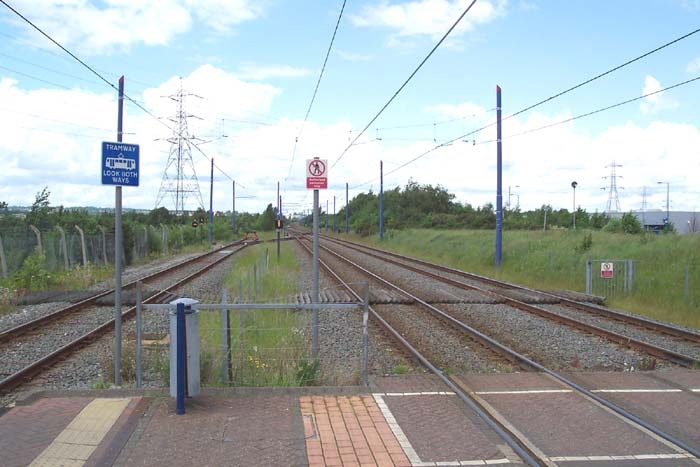 Above-left we have entered the stop through the gate seen in the photograph at the tope of the page and are on what to all intents and purposes is an island platform looking in the direction of Wolverhampton. 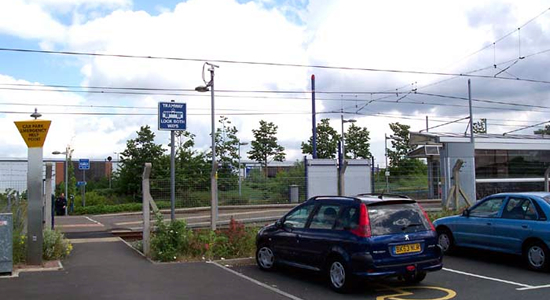 The line to the left is not for passenger purposes but is the end of a branch that serves the Metro Depot that is to our rear. Ahead the line branches right joining the main Metro tracks immediately before a buffer stop. Above-right we are looking in the same direction but this time from the Birmingham end of the Wolverhampton platform to take in the full site. Above-left a shot across the stop from the Wolverhampton platform. 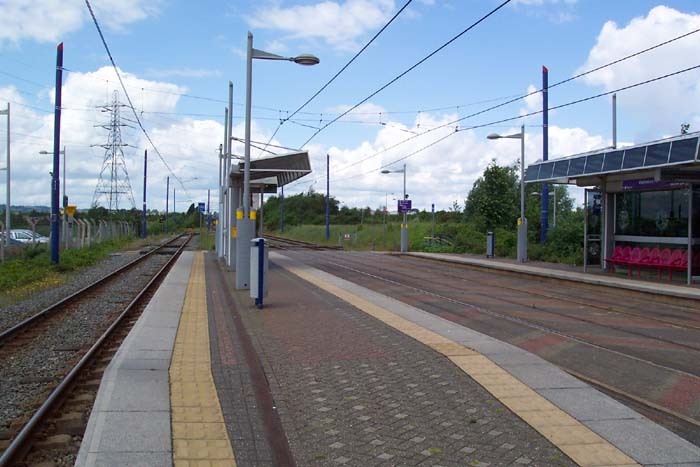 More interestingly, above-right is a shot towards Wednesbury Great Western St stop with the Metro Depot to the right of the tracks. 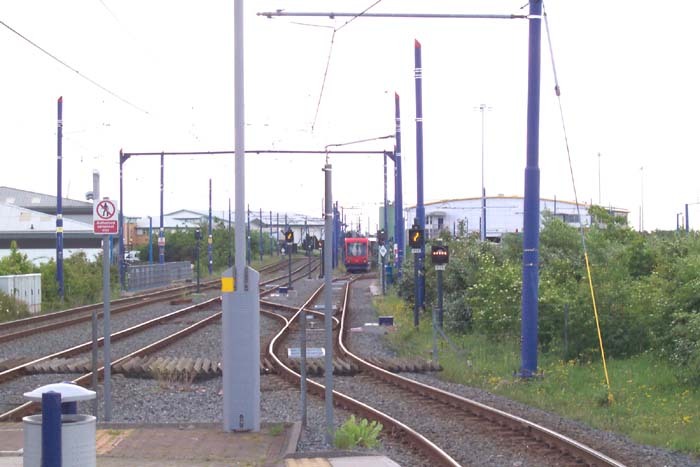 The branch to the Depot can clearly be seen to the right as a T69 tramcar waits for the all clear to join the 'main line'.